hashcat is the world's fastest and most advanced password recovery utility, supporting five unique modes of attack for over 200 highly-optimized hashing algorithms. 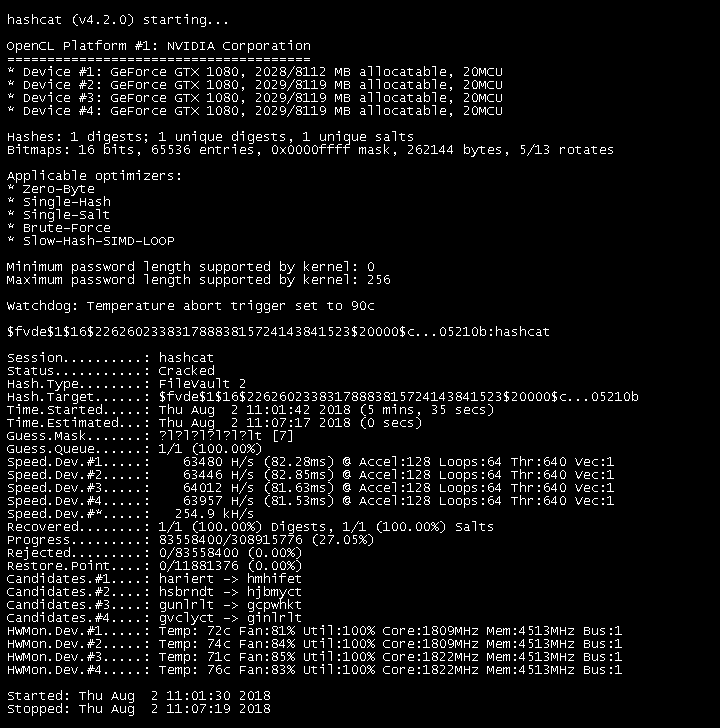 hashcat currently supports CPUs, GPUs, and other hardware accelerators on Linux, Windows, and OSX, and has facilities to help enable distributed password cracking. Download the latest release and unpack it in the desired location. Please remember to use 7z x when unpacking the archive from the command line to ensure full file paths remain intact. Intel GPUs on Windows require "OpenCL Driver for Intel Iris and Intel HD Graphics"